Cashew nuts are not only known source of energy but also have rich and delicious taste which being the reason that they are used in dishes. Our white wholes (WW 320) have very delicious taste and alsoe aten as snack. We are a supplier of cashew nuts. 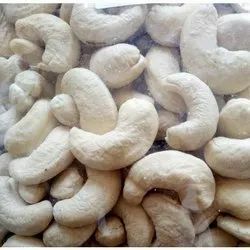 We are counted among the most excellent names in the market for offering Cashew Nuts W 320. We are engaged in bringing forth a wide assortment of Cashew Nuts W320 in the industry. 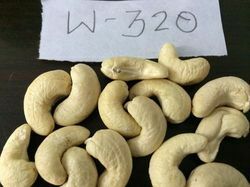 These Cashew Nuts W320 that we offer are healthy and have great taste and are widely used in various sweet dishes. Moreover, these Cashew Nuts W320 are hygienically packed in quality tested materials. Have a handful of Ekstop Kaju 320 Cashew and munch till you get the sweetness of the nut. You can have it with different toppings. It has low fat content and various health benefits. Ideal Grade of Cashew Nuts W320 is a perfect “Regular size cashew that is highly demanded by cashew lovers Worldwide. Perfect fit for a Pocket and Best to Taste is no wonder worlds preferred cashew. Truly household cashews meant for sharing with family and friends.